Holy. Crap. Brunch sliders on Market (including a chicken 'n waffle one!!). Every once in a while, something truly great is discovered that will forever improve life on Earth, like electricity, or penicillin, or chicken 'n waffle sliders. True story: SliderBar just rolled out a brunch filled with delicious little baby breakfast sandwiches and another special surprise you'll have to see to believe. 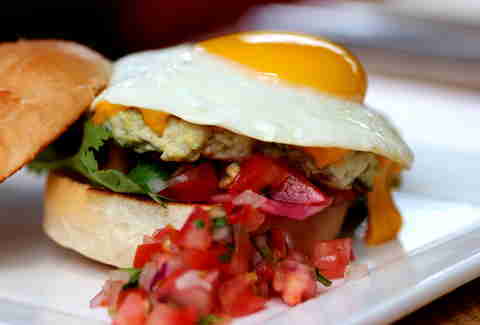 Aside from their itty, bitty, teenie, weenie take on a fast food breakfast muffin, they also have some more fun brunch sliders like the Huevo Ranchero with sliced cheddar, cilantro, salsa, and a Southwest chicken patty. 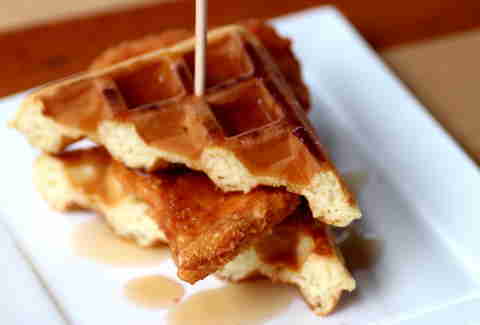 And that aforementioned Chicken 'n Waffle, which sandwiches fried bird between two syrup-dipped Belgians. 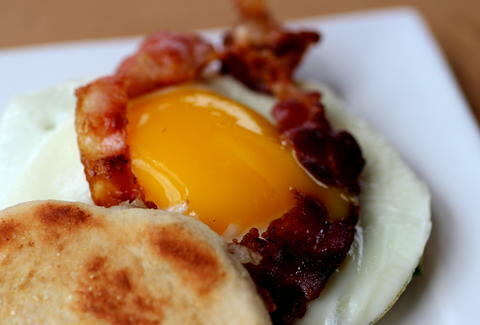 Need an appropriate breakfast side that might kill you will definitely kill you? 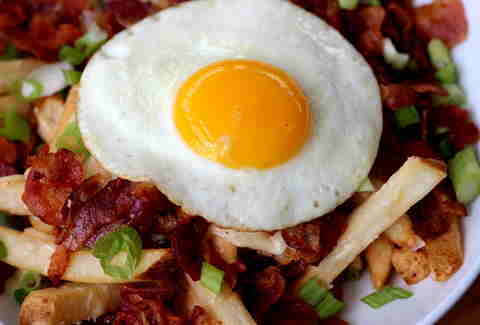 Try their loaded breakfast fries, including these ones topped with egg, bacon, scallions, shredded Swiss, and chipotle ketchup. Oh, and that part we told you to wait for? 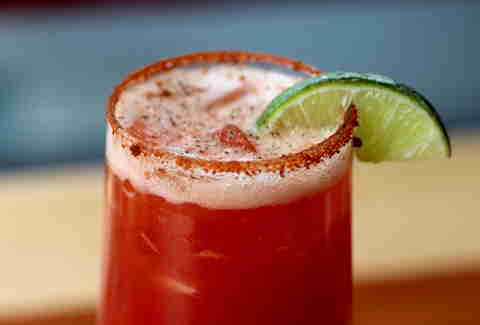 Yeah, it's that they're offering bottomless micheladas and sangrias not just during brunch, but during happy hour, too. Seriously.